ONE of the most exciting Filipino fighters has hung up his gloves after 10 years in the brutal sport of boxing. Rey Bautista or better known to the public as “Boom-Boom” for his heavy hands has retired from boxing following his split decision defeat to Jose Ramirez last Saturday night in Davao City. “Yes, it’s true (that he is retiring). To be honest, we talked about it after he almost got knocked out in his fight at the MOA Arena,” ALA Promotions president Michael Aldeguer said. Bautista was in a grueling 12-round fight with Daniel Ruiz last year at the Mall of Asia arena but luckily walked away with a close split decision. Last Saturday night was the same story, Bautista was also in a similar 12-round war with Ramirez but this time he wasn’t lucky. Bautista was knocked down in the first round and was a step slower than Ramirez, who landed some vicious shots at will. Bautista’s face was swollen and bloodied after the fight. Michael and his father, Antonio L. Aldeguer, have decided that Bautista should walk away from the sport before anything untoward should happen to the 26-year-old slugger. “What is important is the health of the fighter. I hope the public gives ‘Boom-Boom’ what he deserves. He was one of the most entertaining fighters. Right now I think retiring is the best for ‘Boom-Boom,’” said Michael. Bautista started his career back in 2003 and had his biggest test in 2006, in which he stopped former world title contender Giovanni Andrade in four rounds in the US. 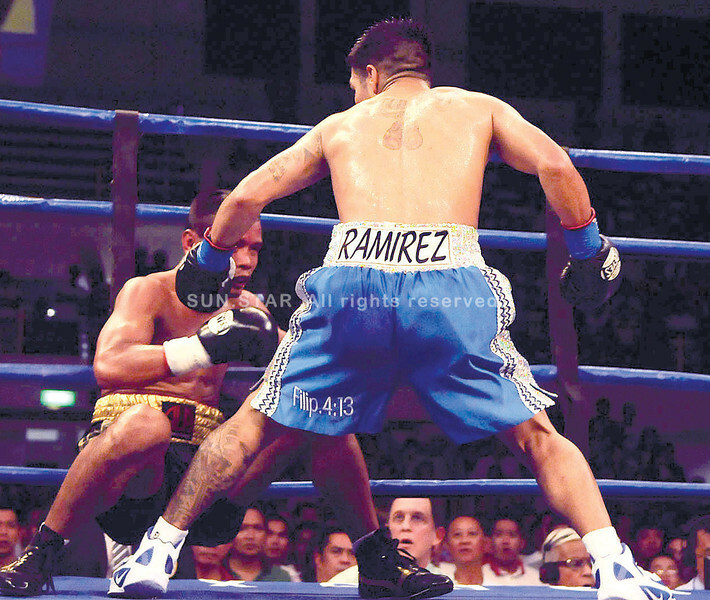 Bautista became one of the most promising young fighters from the Philippines. He had back-to-back wins over Marino Montiel and Sergio Manuel Medina before earning a crack at a world title in 2007. Bautista challenged then WBO super bantamweight champion Daniel Ponce de Leon and was knocked out in just a single round.